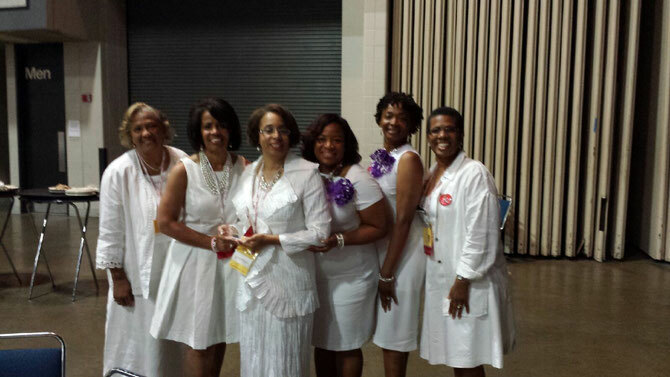 On Friday, June 20, 2014, the Schaumburg-Hoffman Estates Alumnae Chapter was honored at the 46th Midwest Regional Conference in Louisville, Kentucky for creating their outstanding Domestic Violence Program: Sisters Against Silence. This year long program was comprised of 13 events aimed at educating the chapter members and the public on the impacts of domestic violence locally and globally. The program encouraged public policy that advocates victim's rights to protection and safety. Lastly, the program aimed educational opprtunities at teens and college age students to prevent the visious cycle of abuse. The chapter partnered with many civic organizations and public agencies to provide economic support for families in crisis. Congratulations to all!